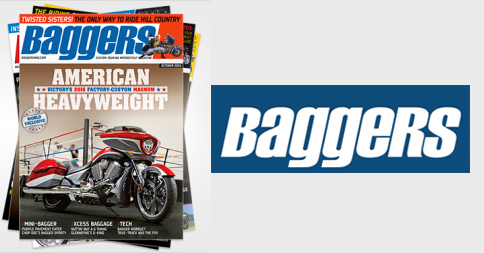 An exhaust install for your Harley bagger is a no-brainer. In fact, how many of you have a new pipe installed before you roll your new baby out of the dealership? Probably a lot of you. 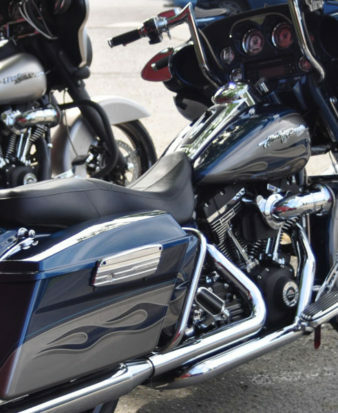 We found a newer company making some quality exhaust pipes in multiple iterations such as true duals, slip-ons, and the always popular 2-into-1 setup. 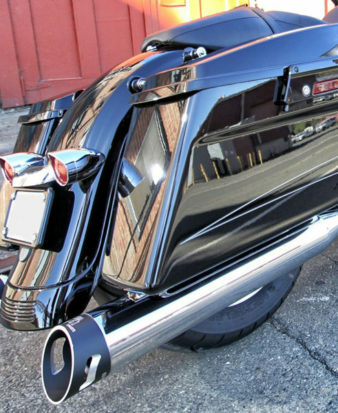 Area 51 Racing’s Weapon Of Mass Destruction (WMD) 2-into-1 Exhaust Pipe ($995–$1,095) isn’t only easy on the eyes shod in its chrome or black coat, but it’s also a quality-made piece that looks like a lot of time was spent into the development of making such a pipe. A long header pipe and a beefy muffler body contribute to the aggressive lines of the overall setup. Plus, its stepped header design is definitely a component of attention to detail. 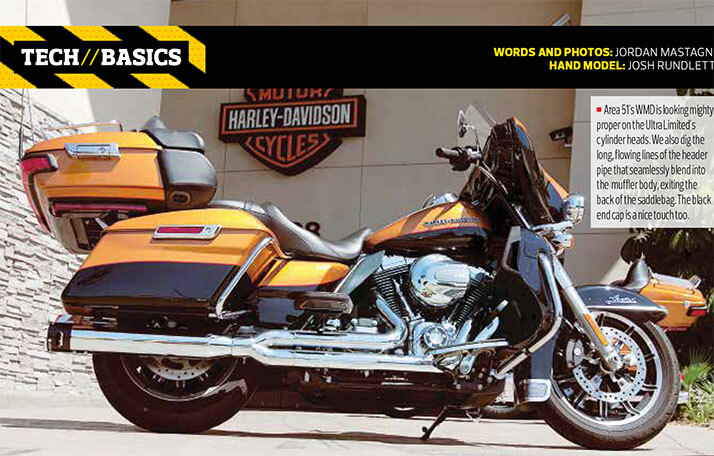 We had a 2014 Harley-Davidson Ultra Limited that had absolutely no mods done to it yet. And by that we mean no air cleaner upgrade, no fuel tuner or stage one download, etc. Just a standard bike that needed some more breathing room. We specifically chose this setup because we wanted to see if the pipe made any power by itself without any other mods mucking up our test data. 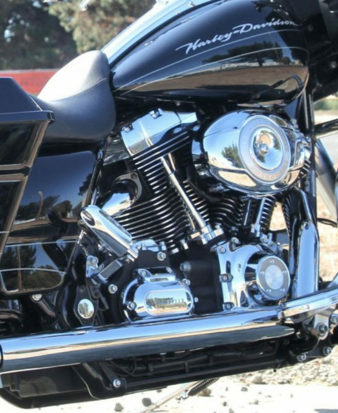 As for sound, a common feature included in the Area 51 exhaust system is an owner adjusted decibel level, which is achieved by leaving the baffle tube unwrapped and not constricted. If it’s not loud enough for you, turning up the volume is quick and easy. We headed over to one of our favorite dealerships, Riverside Harley-Davidson, and our ace mechanic, Josh Rundlett, slapped the pipe on in a matter of 30 or so minutes,and then a quick run on the dyno ensued. Note: The pipe installation was for testing purposes only and was not tested on the street. 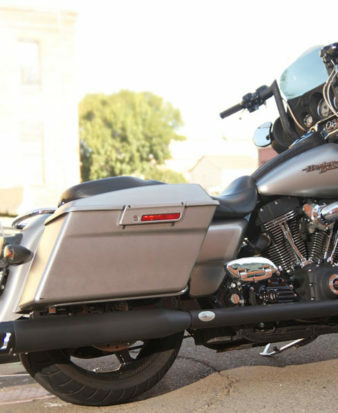 Available for 2001 to 2014 H-D Touring models in chrome or black, the 2-into-1 1-3/4-inch to 2-inch stepped head pipe and muffler come with three removable stainless-steel blankets, which maintain an air space that keeps exhaust flow unrestricted. For a louder sound, simply remove one, two, or all three sound blankets to reach your preferred decibel level.